I've added the topic to my bookmarks and will come back after the match! is it that hard to understand? 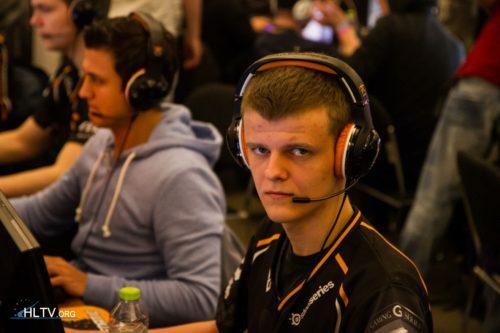 You said fnatic will win over mouz. Now you say vitaliy. Why you hate them? Why today? They will be playing tomorrow. Hi, i think that yesterday match showed us a few things. 1) ChrisJ and Karrigan cant play together. I think that both of them were benched, cause mouse and faze missing firepower in important rounds. Ok, they are both good IGLs but both of them in one lineup will be some problem like at the past. If karrigan come to mousesports because somebody wasn't ok with ChrisJ like IGL so he should stay, but chrisJ should go. I think that this was the first plan before Oskar and Sunny showed their opinion. 2) Ropz and Frozen can play together very well. Yes it is still just online, and we all know the difference, but first game for this young guy went very well. And frantic are not in top performance but still its top10 team. 3) Woxic... I don't know. Please stop with <<<>>>> <<<>>>>> about who is better, but from my point of view, Oskar can win the match almost alone like the last match with Renegades. I am not sure that woxic can do the same. But still he is decent AWPer and I looking forward for his game without ping 80. 4) Ropz - WOW He is growing up so fast. Meaby he can be starplayer for mouse. I remember woxic at London major. He played really well. But i think, if mouse want to win the big tournaments ( and they want cause before roster change they were Top 5 100%) he cant miss shots like yesterday. Like on the inferno middle for CT side... that was really bad. Just give up dude. Mouz lineup looks good. Why u post that yesterday? Today is this day which you meant yesterday.